Which type of power does your gate opener use? 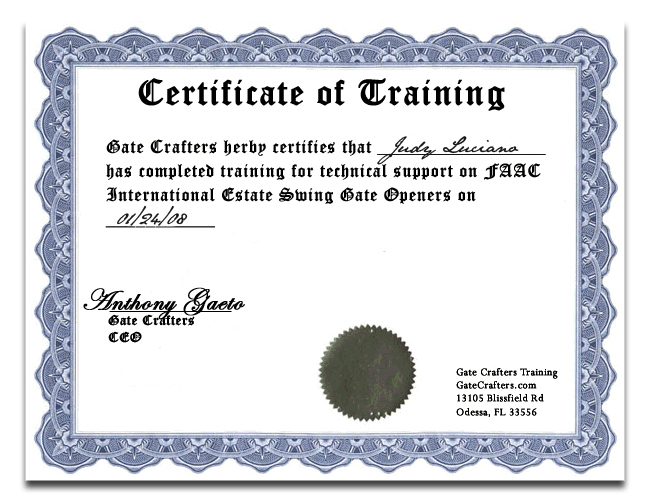 Accessories are the final step in turning an automated gate into a well-designed system. CLICK HERE>> to read more. 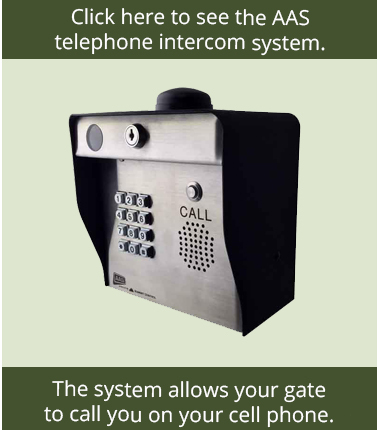 All gate openers need to receive power from gate opener accessories to operate. Some run direct off batteries but those batteries still need to be charged via a transformer or a solar panel. Please choose how you have your gate opener powered or the charging being conducted from the options given. High Voltage means that you do not have a transformer plugged into an outlet or wired in to knock the voltage down to a lower voltage. 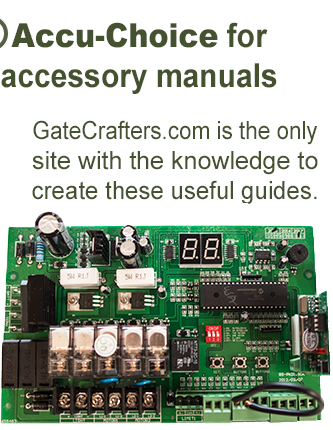 GateCrafters.com offers a wide range of accessories, from additional transmitters for other family members to long-range receivers for gate operation at a distance. 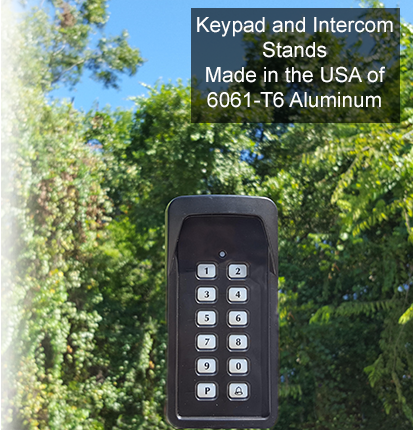 We also supply keypads and exit wands to make property access more convenient for you and your guests. GateCrafters.com can give your system alternate power, security locking, vehicle safety, and much more. 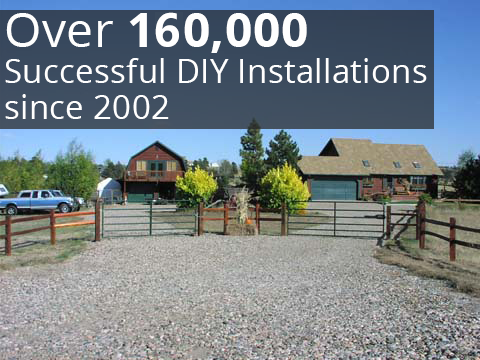 We have the largest and most thorough selection on the web designed for the residential gate market. Our application specialists are always a call or click away to make automating your gate hassle free. As a further service to our customers, we will ship accessories for FREE with a gate opener purchase. 2.90" x 1.62" x 1.58"